(Text automatically translated) Large terrace for sunset dinners, very quiet and immersed in complete tranquility and greenery of olive trees. Hammocks for relaxing, romantic fireplace is in the dining room and in the bedroom. Wood oven in the garden for barbecue. buona sera sono appena tornata dalle ferie passate in Salento in questa magnifica casa e già mi manca,i propietari sono molto gentili la casa è molto bella e accogliente ,lontana da rumori e immersa negli ulivi...cosa posso dire di più!! !Grazie mille e stata una bellissima vacanza. Grazie mille per la vostra testimonianza, e' stao un onore e un piacere anche per noi avervi come nostri ospiti. A presto! "The house is a nice place to stay and the southern part of Salento/Puglia (where the house is located) is a great place to go. The family is pretty kind and helpfull. The coast between Otranto and Leuca (the house lies nearly exactly in the center between these cities) is that beautifull that we made the tour by bycicles several times. We can recommend the house to everyone who is looking for peaceful holidays with the possibility of making expanded bicycle routes." Amazing place, peaceful and lovely atmosphere! We spent 10 fantastic days at this lovely house. It's very comfortable for 4 persons ( 2 separate bedrooms, one bathroom inside, another shower outside- really appreciated ). 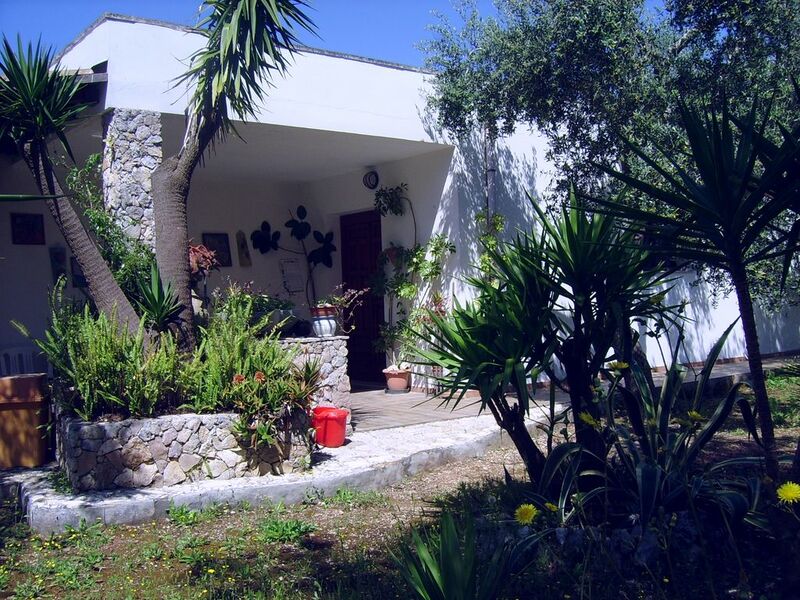 Perfect localisation- beautiful terrain with olive trees gives you a total feeling of quiet and silence, just 10 minutes of walk from the center of lovely little city of Andrano. Nearest beach at Marittima is rocky and really beautifull. You can find there all types of beaches- these with sand need about 30-40 minutes of driving, but we prefered the rocky ones. Puglia is so beautiful and still not crowded- we were happy having a look at quiet, real life, at people of this area. Good contact with owner, any problems during our stay- we can sincerely recommand this place. Thank you Ipazzio and Pierluigi ! ma siamo stati benissimo,posti meravigliosi,una mare trasparente , gente cordiale, cibo fantastico e i proprietari disponibili, sicuramente torneremo il prossimo anno. Anche per noi è stato un piacere avervi nostri ospiti e vi ringraziamo per come avete trattato la casa, lasciandola in ordine e pulita. Come scritto sul sito, il Wi fi si può avere dietro richiesta e un piccolo rimborso, perché abbiamo una pen drive a disposizione da ricaricare all'occorrenza. Speriamo di riavervi presto come nostri ospiti!